To secure passage of the Constitution, the Framers resorted to wholesale compromise. But by deliberately avoiding divisive details that might frustrate agreement, they only postponed the formidable task of fashioning the workaday policies and procedures of the new federal structure. Their task, then, did not conclude with the ratification of the Constitution, and many of the architects of that document would remain to lead the nation as it came to grips with the complex issues of representative government. In so doing, they passed laws and established precedents, many of which endure to this day. Among those signers of the Constitution and others who stepped forward to lead the new nation were numerous veterans of the Revolution. In fact, in the debates that surrounded the creation and implementation of the new government, the wartime experiences of this large group of men created a special bond and a commonality of purpose. Although often masked by the overblown partisan rhetoric of the era, this element of a shared personal experience undoubtedly contributed to their record of accomplishment in a special time of national testing. Eventually the Revolution's aging citizen-soldiers would turn over leadership to a new generation of political leaders�but not before they had produced the first political parties, formulated the basic domestic policies that increased the size and economic strength of the country, and made the United States a full-fledged member of the family of nations. Carefully adhering to the letter and spirit of the Constitution, they also created an effective military force to protect the frontiers, meet domestic disturbances, and wage general war, all while adhering strictly to the cherished principle of civilian supremacy. The First Congress under the new Constitution convened in New York City on 4 March 1789 with only eight senators and thirteen representatives in attendance. 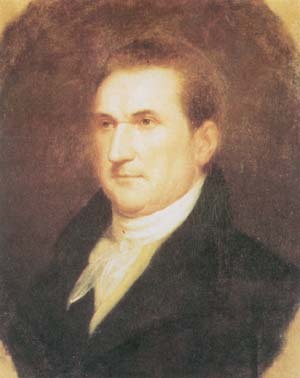 The lower chamber finally achieved a quorum on 1 April and began its work by electing Frederick A. C. Muhlenberg of Pennsylvania as the first Speaker of the House. Five days later the Senate followed suit, choosing New Hampshire's John Langdon, a signer, as its first President Pro Tempore. As soon as these formalities were completed, Congress convened the joint session specified in Section 1, Article II, of the Constitution to open and count the ballots of the Electoral College, which had voted on 4 February. To no ones surprise, the College had unanimously chosen George Washington as the first President of the United States. 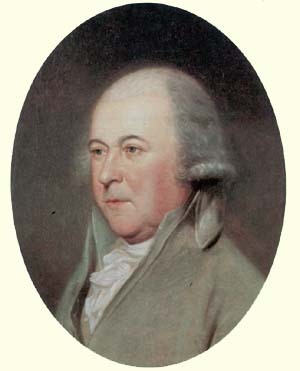 John Adams was elected Vice President. Robert R. Livingston, New York's state chancellor, administered the oath of office to the former general on the balcony of Federal Hall (located at the corner of Broad and Wall Streets) on 30 April 1789. Washington's enormous personal popularity and prestige had made him the obvious choice for President in an era of strong political controversy. His wealth of administrative and political experience, gained in large measure during his years as Commander in Chief of the Continental Army, qualified him as no other to handle the complex duties of an office that combined the European roles of head of state and head of government. Above all, and to the immense good luck of the new nation, he possessed the common sense to judge accurately the mood of his fellow citizens and the temperament to avoid overly ambitious schemes. He retained a clear vision of the nation's future�one based on liberty and justice for all citizens, strength through union, and economic prosperity through commercial expansion and westward migration. Washington shared the difficult task of creating a new government with the First Congress (1789-91). Among the 29 senators and 66 representatives who served in that body, 59, including 17 signers of the Constitution, had seen active military service during the Revolution. These veterans provided the new government with a substantial pool of common experience, a decisive factor when Congress passed the implementing legislation that launched the new government. Its first task was to establish the structure of the other two branches. The Constitution gave Congress the authority to create departments within the executive branch to assist the President in carrying out his responsibilities and to organize a system of federal courts. Accordingly, it created a Department of Foreign Affairs on 27 July 1789, a War Department on 7 August, and a Treasury on 2 September. The office of Postmaster General followed on 22 September. Two days later it passed the Federal Judiciary Act, which established the position of Attorney General and organized a federal judiciary with three circuit and thirteen district courts below the Supreme Court. The Supreme Court, consisting of Chief Justice John Jay and five other justices, opened its first session on 2 February 1790. 1790 the center of political initiative had shifted to the executive branch. Washington relied on a Cabinet composed of the heads of the departments to help develop an agenda for both domestic issues and foreign policy. Naturally enough, he turned to Revolutionary veterans to fill his Cabinet and many of the positions in the new federal civil service. With the exception of Secretary of State Thomas Jefferson, every member of the Cabinet had served in the Continental Army-Attorney General Edmund Randolph, Secretary of War Henry Knox, Secretary of the Treasury Alexander Hamilton, and Postmaster General Samuel Osgood. Washington used these men like a council of war. During meetings he encouraged them to speak their minds and discuss issues freely. The President's quiet demeanor led his fellow citizens, and most historians ever since, to focus on the roles of his subordinates, rather than on his decisive voice, in the events of his administration. True, Washington always sought consensus before embarking on a policy, but he always felt free to disregard his Cabinet's advice. In fact, Washington proved singularly successful in imposing his personality, first on the Continental Army and later on the office of President. Many of the traditions and customs of both the Army and the Cabinet draw directly on the precedents he set. Washington turned first to the national security and the economy. He believed that by pursuing a program based on safeguarding the nation's boundaries he could encourage prosperity and cement the bonds of union. He also believed that international affairs had to be subordinated to nation building, which required supporting and protecting the expansion of American trade to new markets. Specifically, he looked to the nation's frontiers, where he worked for a withdrawal of British forces from their bases on American soil, for peace with the Indians, and for the opening of western rivers, especially the Mississippi, to American commerce. He tended to agree with Hamilton on these issues, believing that the Treasury Secretary's programs to broaden the economy and strengthen the national government were essential for national growth. His administration's two major international agreements, the Treaty of London (Jay's Treaty) in 1794 and the Treaty of San Lorenzo (Pinckney's Treaty) in 1795, attempted, among other goals, to neutralize British and Spanish influence in the trans-Appalachian west. A measure of his success in these areas was the fact that during his term of office he presided over the admission of three new states to the union�Vermont in 1791, Kentucky in 1792, and Tennessee in 1796.
personalities of Jefferson and Hamilton, it was not surprising that the two disagreed over the proper course of action to pursue in both domestic and foreign arenas. Hamilton, concerned with developing the material resources necessary for the advancement of prosperity and the influence of the government both internally and diplomatically, proposed a far-reaching economic policy to render the nation self-sufficient. He tended to favor Great Britain in foreign affairs. Jefferson, more attuned to the old fears of concentrated power and to the ideal of an agrarian society of yeoman farmers, was more cautious about enhancing the powers of the federal government. He also sympathized with the French, who were in the early years of their own revolution, triggered in part by the debt engendered during the recent war. Each man attracted supporters. Given the era's depth of political passion, these national-level disagreements naturally became grafted onto local issues, providing the nucleus of political parties. Washington sought to preserve a consensus throughout his eight years in office, but his treaties with Britain and Spain became issues of contention between the nascent parties, as did his attempt to keep America neutral in the resurgent conflict between France and Britain, a policy that initially appeared to favor the latter. No longer able to accept these policies, Jefferson left the Cabinet in 1793. His followers, led in Congress by James Madison and James Monroe, and known as Democratic-Republicans (or, more commonly, as Jeffersonians) gathered round him. Supporters of the administration, ranging in viewpoint from Hamilton's outspoken followers to moderates like John Adams, who succeeded Washington as President in 1797, became known as Federalists. The Founding Fathers, who viewed any internal division as a threat to the republic, had left the Constitution mute on the subject of political parties. The significant factor behind the emergence of the parties, however, was not their obvious disagreements over policies and programs, but rather their mutual, steadfast support of the Constitution and the principles of government it enshrined. The peaceful transfer of political power from the Federalists to the Democratic-Republicans in 1801 marked an important step in the nation's political evolution. cally, Jefferson would owe his victory to Hamilton, who advised his followers to vote for his old rival. The bitterness engendered by this election led directly to the adoption of the Twelfth Amendment, which in effect bestowed constitutional recognition on political parties in the American system of government. More significantly, however, this election underscored the widespread acceptance of the new Constitution and the union it had created. Despite the unprecedented partisan rivalry, compromise remained essential to the operation of government, and parties, then as now, were actually broad-based coalitions. Even important state leaders such as South Carolina's Charles Pinckney could shift back and forth between the parties according to specific issues. During his inauguration that year, the first held in the new capital on the banks of the Potomac, Jefferson said, "We are all Republicans, we are all Federalists. " In this declaration, he accurately reflected how widely most of the five million Americans agreed on basic goals and forecast how readily he and the new leadership could adjust, rather than rescind, their predecessors' policies. Under Jefferson and Madison, who became President in 1809, American foreign and domestic policy continued to pursue with only minor adjustments the course set by Washington. As could be expected given the relative power of nations, American diplomacy still had to react to events in Europe, where the Napoleonic Wars were the dominant fact of life. Washington had been able to avoid entanglement. Adams had become embroiled in limited hostilities with France for a time, but he also had sought diplomatic rather than military solutions to outstanding differences. Jefferson and Madison in turn attempted to place primary reliance on diplomacy. To back up their efforts, however, they relied more on economic leverage than on the military preparedness favored by the Federalists, drawing particularly on the boycott tactics of the decade before the Revolutionary War for a precedent. The logical extension of this policy came during the period of the Embargo Act (22 December 1807-1 March 1809) when American commerce with both France and Britain was halted to eliminate friction and preserve neutrality. Federalists, especially in New England and other regions heavily dependent upon foreign trade, complained bitterly that their interests were being ruined by the government. Jefferson's domestic policy also retained the essence of many Federalist initiatives, to include Hamilton's economic program. In particular he continued Washington's focus on western expansion and development, underscored by the admission of Ohio to statehood in 1802 and by his greatest triumph, the Louisiana Purchase. As soon as he learned of the transfer of the Louisiana territories from Spain to France, Jefferson instructed Monroe and Robert R. Livingston to try to purchase the area around New Orleans. Westerners depended upon the Mississippi River to move their produce to market and were anxious to secure unfettered use of the river's sole port. To the Americans' surprise, Napoleon eventually offered them the entire region, and in April 1803 the territories were transferred to the United States for the sum of $15 million. The purchase proved immediately popular, but the irony of the situation was not overlooked. Here was Jefferson, the leader of those dedicated to a strict interpretation of presidential powers under the Constitution, abrogating to himself alone the nationalistic decision to seize the unique opportunity of doubling the size of the nation. Continuing in the spirit of Washington's nation-building policy, Jefferson immediately sent out a series of military expeditions-the most famous being led by Meriwether Lewis and William Clark-to explore the vast region. In 1812 Louisiana became the first state admitted to the union from the former French region. One of the most critical issues facing the first generation of federal leaders was the formulation of a national military policy. Washington's administration and Congress set important precedents in this area as they filled in the outline of military forces sketched by the Constitution. Working together, they determined the size and role of the Regular Army and then resolved the relationship between the states and the national government in dealing with the militia. These decisions had to be made in the context of foreign and domestic policy objectives. They also had to be based on the realities of increasing partisan political activity, since the Constitution explicitly gave the final say to the people, speaking through their elected representatives in Congress, in appropriating the funds to pay for troops, guns, and ships. When Washington took office he inherited a situation verging on open warfare in the west. Along with the Congress, he quickly came under intense pressure from interest groups to provide the settlers with better protection. The delicate issue of the role of the military thus received its first airing within that highly charged specific context. Josiah Harmar's small regiment had been created by the Continental Congress in 1784 to serve as a frontier constabulary, but the westward movement had accelerated with the establishment of the Northwest Territory in 1787 and the organization in 1790 of the Territory South of the Ohio River, or Southwest Territory, under Governor William Blount. Indian tribes, encouraged by British garrisons and traders, began sporadic attacks, and as early as 1788 the Army began taking casualties. 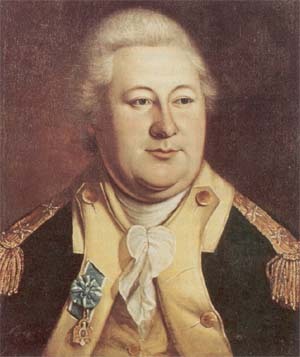 ther west and asked Henry Knox and Arthur St. Clair to begin gathering information in case operations had to be mounted. In the meantime the creation of the War Department on 7 August 1789 provided for an orderly transfer of responsibility to the new government. Secretary of War Knox exercised oversight for Indian diplomacy in addition to his other duties. The following month Congress imposed on the officers and men of Harmar's regiment the requirement to take an oath to "support the constitution of the United States." Hidden as a rider in this law was authorization empowering the President to mobilize frontier militia under federal pay and control if the situation warranted. Conditions continued to worsen as Washington pursued a policy of trying to negotiate a settlement while at the same time preparing for possible fighting. To placate settlers in the Kentucky region, Washington successfully persuaded Congress in early 1790 to provide a modest (four company) increase in the size of the Army. In June he ordered Harmar into the field. Washington and Knox envisioned a raid deep into the Indian heartland by a small, hard-hitting party to demonstrate the federal government's power, followed by a negotiated treaty. Unfortunately, the slow-moving Harmar did not start until late fall, burned a few Indian villages, and then lost most of his rear guard during the withdrawal. Knox and Washington ordered St. Clair, who replaced Harmar as the commander of the Army, to try again the next year. In the interim, the administration persuaded Congress to raise a second regular regiment and to authorize several thousand Provincial-style short-term levies. St. Clair not only repeated all of Harmar's errors, he also violated one of the cardinal rules of frontier warfare by ignoring adequate security and reconnaissance. At dawn on 4 November 1791 about 1,000 Indians overran his camp. More than 600 soldiers and militiamen died in the ensuing rout. Although St. Clair's defeat marked the second major setback in less than two years, Washington and Knox decided that their basic policy of combining diplomacy with regular troops constituted the correct approach to the western problem, and they redoubled efforts to raise a proper force to carry it out. Congress eventually conducted a full investigation into the Army's conduct of the 1791 campaign, establishing thereby an important precedent for congressional oversight of the executive branch, one not specifically authorized by the Constitution. But it also continued to support the administration's military policy. In January 1792, Washington requested that the military budget be tripled to a million dollars a year to support a 5,000-man Army. When neither Gerry, the most outspoken foe of a large military, nor Madison, the leading Jeffersonian in Congress, opposed the request, a bill to that effect became law in March. Revolutionary War hero "Mad" Anthony Wayne resigned his seat in the House of Representatives to replace St. Clair, with a commission as major general. The Second Congress also passed the first comprehensive militia law. Washington and other nationalists ended the Revolutionary War convinced that militia forces needed to be highly trained and capable of close coordination with the regulars on the battlefield. Their proposals for a peace establishment in 1783 had advanced the notion of a select militia force to achieve this goal, backed up by the general militia. In succeeding years both Steuben and Knox published pamphlets refining this idea, which included paying this "advanced corps" for their days of extra training. Many others believed that the highly motivated militias of the 1770s had been the key to success in the Revolution, and they were highly suspicious of any reforms that might weaken the close ties to local government inherent in the old colonial militia system. Washington had been unable to push a federal militia bill through Congress in either 1789 or 1790. In February 1792, while debate over the expanded Regular Army continued, Congress finally began detailed consideration of two bills which, known collectively as the Militia Act of 1792, passed in early May. This legislation rejected separating militiamen into two distinct classes. The reformers had clearly failed to convince a majority that the current situation warranted either the expense or the political risk of such tight federal control. Instead, the Militia Act compromised, allowing the President to mobilize the citizen-soldiers when necessary and to set national, but non-binding, standards for organization and training. This arrangement, identical to the one discussed during the writing of the Constitution's militia clause, was accepted because it still left the individual states with major control over their militia. The reformers might lament the fact that the efficiency of the citizen-soldiers would continue to depend ultimately on local rather than national initiatives, but they could read progress in the general acceptance of the notion of a national standard and in the new law's provision for the organization of volunteer groups who purchased their own uniforms and underwent extra military training to become elite "flank" companies in the militia regiments. Everyone understood that under normal circumstances only these men would be mobilized. Despite some minor modifications, this law would remain in force until the creation of the modern National Guard in 1903. The first test of the new militia act came on the frontier. Wayne, like Harmar and St. Clair, was a veteran who had served in Washington's main army and in Nathanael Greene's Southern Army during the Revolution. Unlike his predecessors, however, he remembered the important lessons about the need for adequate training, proper organization and logistics, and blending regulars and militia into a combat team that made use of their separate skills. He worked closely with Knox to adapt those ideas to the task of wilderness fighting. The regulars were regrouped into the Legion of the United States, a special combined-arms arrangement, based on European ideas, that already had been used in the later stages of the Revolution. After two years of careful preparation, the Legion, reinforced by nearly 3,000 frontier militiamen, penetrated into the heart of Indian territory in the Ohio Valley. On 20 August 1794, at Fallen Timbers, Waynes hard work paid off. His regular infantry used their bayonets to drive the Indians into the open where the mounted frontiersmen rode them down. The battle and resulting destruction of neighboring villages and crops broke the tribes' resistance. On 3 August 1795 in the Treaty of Greenville a dozen tribes ceded their claims to disputed lands and moved farther west. At about the same time, Jay's Treaty brought British agreement to withdraw from all forts within the boundaries of the United States. These treaties eliminated much of the Army's preoccupation with the old Northwest Territory, freeing the troops for service in the Southwest Territory, where settlement was beginning to accelerate. This frontier was noted for the spirit and independence of the settlers in Kentucky and Tennessee. Controlling the area had been a challenging assignment for Governor William Blount, a signer of the Constitution, and would prove equally troublesome for the Army officers assigned to duty in the region. Southwesterners had a reputation for independent military action. This tradition had proved beneficial during the Revolution, particularly at King's Mountain and during George Rogers Clark's epic struggles, but it would pose serious difficulties for both Federalist and Jeffersonian officials. Free access to the river systems feeding into the Mississippi, as Washington had foreseen during the 1780s, remained essential to the region's economic prosperity, and westerners were tempted to take direct action against Spanish-controlled Louisiana. English agents encouraged such actions because of the Napoleonic Wars, believing that any action harmful to Spain, Frances ally, could only benefit England. 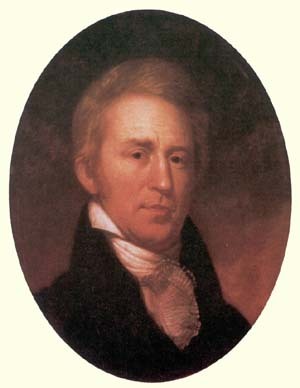 In fact, national leaders of both parties regarded the southwest as an area that might try to break away from the union and sought to preclude such a disaster, even to the point of expelling Blount from the Senate�to which he had been elected when Tennessee became a state in 1796�when they suspected that he might have been involved with British agents in such a plot. Others, notably General James Wilkinson, who had succeeded Wayne as commanding general, and Aaron Burr, were also later charged with plotting with foreign agents to separate the region from the United States. The Army played an important role in defusing the situation. Garrisons of regulars steadfastly preserved law and order and guaranteed that any attempt to create an independent republic in the southwest never progressed beyond the realm of dreams. With adequate military protection, the frontier remained calm for a generation. The military had faced a different and more difficult mission in the summer of 1794 when farmers in western Pennsylvania, who bitterly resented Hamilton's 1791 excise taxes on liquor since it was manufactured from their only cash crop, rebelled. The new government's response to the s6-called Whiskey Rebellion stood in sharp contrast to the Continental Congress' reaction to the rioting led by Daniel Shays. When Washington learned that Governor Thomas Mifflin had refused to use state militia against the rioters because he feared the political consequence, the President exercised his powers under the Constitution and the 1792 Militia Act. In August 1794 he called out a force of some 15,000 militiamen from nearby states under Governor Henry Lee of Virginia, an ex-Continental. The overwhelming display of strength ended the "revolt" without serious incident. This success, coupled with Wayne's victory at Fallen Timbers, greatly enhanced the prestige of the central government. Washington and most other leaders accepted the use of force in each of these cases only as a last resort; a small element of the Federalist party, however, drew a different lesson. Led by Hamilton, they pressed for a larger Regular Army as a means of expanding the power of the national government, an aim central to their political thinking. International circumstances seemed to support their scheme. The Federalists had originally justified the need for a peacetime army to cope with Indian harassment on the frontier. Raids by North Africa's Barbary States on American shipping and the growing threat of peripheral entanglement in the war in Europe provided the rationale for an expansion of this military force in 1794. After some debate, Congress created a modest six-frigate Navy, approved a plan for federally funded harbor defenses at selected ports, and increased the size of the Army by forming a Corps of Artillerists and Engineers. The latter would provide small regular garrisons for the new fortifications, which could easily be reinforced in an emergency by the militia from the surrounding area. This political compromise, acceptable to both parties, reflected the lesson learned in the Revolution that effective defense required full-time troops that only the national government could train and support, but also relied, for reasons of cost, on the abilities of the militia to turn out in mass. A month after approving the coast defense program, Congress authorized the establishment of federal arsenal and armory facilities at Springfield, Massachusetts, and Harpers Ferry, West Virginia, for government production of arms and equipment. peacetime Army Regulations in 1798 and took actions to reinforce the concept of civilian control over the Army's officer corps. Rising tensions between France and the United States in 1797 once more favored Hamilton's plans for military expansion. Adams dispatched three diplomats, Gerry, Charles Cotesworth Pinckney, and John Marshall (the latter two, Continental veterans), to Paris to try to resolve differences, but in what has come to be known as the XYZ Affair, their French counterparts demanded bribes as a condition for holding meetings, an affront that triggered popular outrage across the United States. The Federalists believed that the best way to avoid open warfare would be to demonstrate that the country was prepared to fight, and as membership in the volunteer militia surged, the Adams administration introduced a modest request for additional regular forces. The more extreme wing of the Federalist party, spearheaded by Hamilton, had much more ambitious goals. It pushed a series of bills through Congress between May 1798 and March 1799 that created, on paper at least, an elaborate military array: an expanded force of regulars, a 10,000-man Provisional Army, and an even larger "Eventual Army." Hamilton and his followers persuaded Washington to lend his prestige and popularity to the cause. Commissioned a lieutenant general, the retired President became commander of this "Grand Army," while other Revolutionary veterans (including Charles Cotesworth Pinckney) filled the remaining senior positions. Hamilton himself became the Inspector General and assumed the burden of day-to-day administration. Reality lagged far behind these grandiose plans, and less than 4,000 men actually joined an Army that never saw action in this "Quasi-War." On the other hand, naval vessels successfully fought in the Caribbean and Atlantic, and Congress established a separate Navy Department on 30 April 1798 under ex-Continental Benjamin Stoddert to manage the rapid growth of the fleet. and then negotiating from strength, Jeffersonian military experts like Thomas Sumter, Daniel Morgan, and William Shepard, also veterans of the Revolution, claimed that the militia provided an adequate force for the purpose. President Adams sided with the Jeffersonians against the extremists in his own party. He had always preferred diplomacy, and when he resolved the outstanding issues with France, he quickly persuaded Congress to trim the military back to peacetime levels. Federalist leaders, aware that they lacked support for an extensive defense establishment, led the planning for demobilization in the hope that in doing so they could preserve a minimal regular force. Three Revolutionary veterans in Congress, John Marshall, Samuel Smith, and Theodore Sedgewick, representing, respectively, the moderate Federalists, the Jeffersonians, and the extreme Federalists, worked out a series of compromises that led to reductions in the Army in May 1800 and in the Navy early the following year. 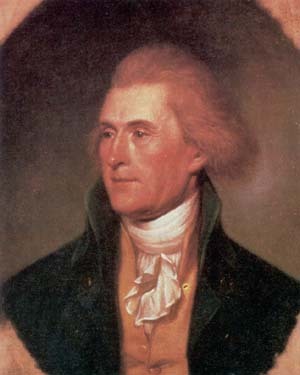 Jefferson's administration took office determined to reduce federal expenses, especially military ones, but with no intention of dismantling the remaining Regular Army. 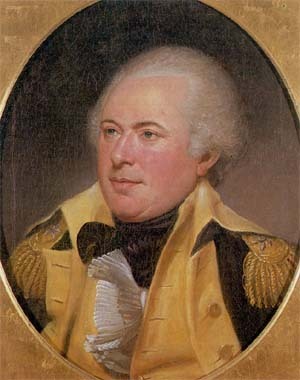 Although he and his service Secretaries, Revolutionary veterans Henry Dearborn (Army) and Robert Smith (Navy), placed great faith in the prowess of the militia to defend the nation from invasion, they pragmatically accepted the need for a limited force of full-time soldiers and sailors. Beginning in 1802 they used the annual appropriations process to tailor the armed forces to more limited defensive roles. Their reorganization of the Army in 1802, for example, called for drastic cuts, but actually eliminated few enlisted men. Instead, units and the staff were manipulated to force out most of the more partisan Federalist senior officers, who were replaced with Jeffersonians or moderate Federalists. Jefferson also seized upon a reform originally proposed by the Federalists but transformed it to meet his own needs. Since the Revolution, the Army had suffered from a lack of native-born engineers and technical specialists. Proposals to establish a European-style military academy to train such individuals had failed in Congress, although it did authorize training for a group of cadets in the Corps of Artillerists and Engineers during the Quasi-War period. The Federalists had hoped to expand this nucleus into separate courses of formal instruction for artillery, engineer, infantry, cavalry, and naval officers. Jefferson recognized that many Federalists enjoyed a competitive edge when they applied for commissions because, generally, they came from families that could afford good educations. 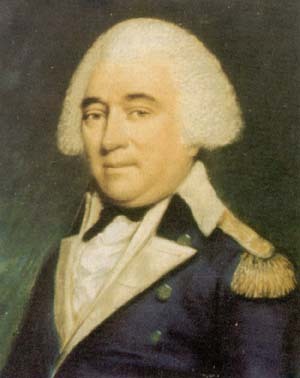 To obtain equal opportunity for others, he altered the Federalist proposal and won congressional approval for the establishment of a military academy at West Point where cadets would receive a basic civilian and military education; their technical, branch-related training would occur after graduation. Jeffersonian hopes of further naval reductions were shelved when the Barbary States resumed raids on American shipping. Washington and Adams both had chosen to pay tribute to halt these piratical acts, but Jefferson, believing that fundamental issues of justice and honor were at stake, refused to follow suit. He also believed direct action in this instance would be more cost-effective than bribery. With Congress in recess, he dispatched a small Navy squadron to Tripoli on his own authority. Even his Cabinet questioned the legality of such an action, but Jefferson justified it, and provided a new interpretation of the Constitution in so doing by claiming that as Commander in Chief he could respond to aggression without prior congressional approval. In fact, when Congress reconvened in November 1801, it approved the naval expedition. Operations dragged on until 1805 when bombardment, close blockade, and an internal revolt finally forced the Pasha of Tripoli to sue for peace. Similar aggressive tactics were also employed by both Jefferson and Madison to neutralize the remaining Barbary States. have liked. The latter argued that the large frigates and ships of the line favored by the Federalists could provoke trouble by appearing to Europeans to be a threat against their colonies in the Caribbean and in Latin America. On the other hand, they pointed out, a combination of fortifications and small boats mounting one or more heavy cannon had effectively protected most of the coastline during the Revolution. Jefferson came in time to agree that reverting to this purely defensive system could guarantee American interests in a cost-effective way and avoid the risk of antagonizing the Europeans. But in June 1807 a major international incident in American territorial waters caused a volte face. The British frigate Leopard fired on the United States Navy's Chesapeake just off the Virginia coast when the American vessel refused to submit to being searched. An indignant population called for a declaration of war, but the administration remained committed to diplomatic measures. At the same time, the Jeffersonians were pragmatic enough to realize that stronger defenses would add leverage, and in 1808 and 1809 they persuaded Congress to fund a new round of coastal fortifications and once again to expand the Regular Army to man the new forts and to garrison the Louisiana Territory more effectively. When Jefferson's party first came to power, its military and foreign policies, reminiscent of the pre-Revolutionary days, appeared strongly at odds with those of the Federalists. It preached the importance of the militia as the bulwark of freedom, the dangers of standing armies, the sufficiency of economic persuasion in international relations, and the need to reduce government expenses and taxes. But once in power, the Jeffersonians developed pragmatic policies not all that different from Federalist precedents. This similarity actually should have come as no surprise, since many of the Jeffersonians had served in the Revolution alongside their Federalist counterparts and had absorbed the same lessons. In retrospect, the basic defense program initiated under Washington and Adams survived and prospered under Jefferson and Madison because both sides saw it as a natural evolution from two centuries of experience that met the needs of the new nation. Passionate political speeches aside, the difference between the two parties came to be more a matter of emphasis than a fundamental division over principles. The military policies fashioned by the first generation of federal leaders had their final test when the country went to war against Britain in 1812. Americans called the War of 1812 a "Second War of Independence," and, indeed, the war did reaffirm the victory of 1783. But in a larger sense, the War of 1812 was really one small phase of the last of the eighteenth century's global struggles. Once again the British considered fighting in North America less important than the struggle against Napoleon in Europe. In many ways, the conduct of the war was conditioned by and mirrored the Revolution, particularly the phase after 1778. The Madison administration divided military responsibilities for the war along traditional lines. The regulars, like Washington's continentals, formed the main battle forces, first to carry the attack to Canada and thereafter to defend against the main British Army. The militia retained its customary local functions, reinforcing the coast defense forts and Navy gunboats and supporting the regulars in major engagements. Between 1812 and 1815 the American military system, created by the Soldier-Statesmen of the Revolutionary generation and in part still commanded by veterans of the War for Independence, was tested again. If the war did not noticeably enhance the international reputation of America's military forces, it nevertheless proved them sufficient to the task of stalemating a powerful enemy. In a number of key engagements, the nation watched able young generals, whose careers would continue well into the nation's coming of age, assume the mantle of leadership from the aging veterans of the Revolution. The youthful Andrew Jackson's victory at New Orleans, for example, mirrored that of Samuel Smith of Revolutionary War renown in the successful repulse of the British before Baltimore just months before. Both proved once again that regulars and militia could be effectively combined in combat, just as they had been at Cowpens, when they were employed in a team effort that did not require either to carry out tasks alien to its own capabilities. Their achievements in this "second War for Independence" demonstrated that the Founding Fathers, ever suspicious of standing armies in the European sense, had created a workable alternative for the new nation. 1. For a comprehensive statistical breakdown of soldier-statesmen and their subsequent service in government, see Appendix D.
tional government well into the nineteenth century. Two, Washington and Monroe, served as President, and their colleagues in arms constituted a majority in every presidential Cabinet through 1816, thirty-five years after the battle of Yorktown. They also held office in great numbers at every level of the civil service, from senior diplomats serving in delicate international negotiations to customs officials, postmasters, and those unheralded workers who managed the day-to-day functions of the commonweal. While the number of veterans in the federal judiciary was considerably less imposing, a former Continental Army captain, John Marshall of Virginia, presided as Chief Justice for thirty-four years and did as much to shape the future of the nation as any figure of his time. Veterans also held a host of positions in state and local government where, allied with their comrades in the federal system, they would exercise a major influence on the direction of government for many generations. guidepost for the American military establishment. Above all, he demanded that the American soldier is first and foremost a citizen, with all the duties and rights that others enjoy, not someone outside the mainstream of society. I do solemnly swear (or affirm) that I will support the Constitution of the United States against all enemies, foreign and domestic; that I will bear true faith and allegiance to the same. In taking this oath, they not only underscore the nation's continuing dedication to the Constitution, but reflect the central place of that document in the unfolding history of the republic.